"Office is beautiful, the staff is very accommodating and warm." " Dr. Mahmood is one of the most caring and genuine doctors that I have ever met." "All the doctors in this group are amazing!" "All of the staff is very friendly and knowledgeable." "I would highly recommend One Oak Medical to anyone because they are on point." "Glad I went with Dr. Mahmood. Staff is also very friendly and courteous." "The office staff was super friendly and nice to me and the place is immaculate." One Oak Medical is home to a team of multispecialty physicians who are experts in diverse fields of medicine, offering patients comprehensive care for their whole body under one roof. The One Oak Medical physicians serve patients at six convenient locations: Wayne, Paramus, Clifton, Middletown, Jersey City, and Point Pleasant, New Jersey as well as Staten Island, New York. 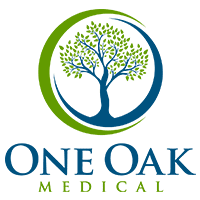 Specialties of the One Oak Medical team members include orthopedic and spine conditions, heart and blood vessel disease, obstetrics and gynecology, and foot and ankle problems. Patients also have access to a physical medicine and rehabilitation physician who provides individualized physical therapy, therapeutic massage, and several other treatments designed to relieve pain, rebuild strength, and restore optimal functioning. The team’s dedication to providing the full range of care is especially highlighted by their OB/GYN services, available to women of all ages. Women treated at One Oak Medical value the compassionate care they receive, from routine well-woman exams to prenatal care, menopause management, and minimally invasive surgery for gynecologic problems. From routine gynecologic care to foot and back pain, the physicians at One Oak Medical have years of experience diagnosing and treating everyday problems as well as chronic conditions. They’re also highly trained orthopedic, spine, podiatric, and gynecologic surgeons, performing advanced minimally invasive procedures, including robotic surgery, when possible. If you’re searching for the highest quality care from a team of physicians dedicated to healing the whole person, call One Oak Medical or use the online booking tool to schedule an appointment. If you suffer from painful sciatica, changing a few simple behaviors could provide you with significant relief. Here are five things you can do to start feeling better. How Often Do I Need to Get a Pap Smear? Unsure about Pap smears and how often you should be getting tested for cervical cancer? We've got all you need to know in our latest blog, including signs to look out for and how to prepare for your Pap smear. On any given day, 31 million Americans experience back pain. Spinal fusion gives chronic back pain sufferers a permanent solution. Read on to learn what the procedure involves and how you could benefit. "I would most definitely would recommend One Oak to anyone who needs a good team of doctors." "Dr. Mahmood and Dr. Ibrahim were amazing and helped me figure out what was actually going on and gave me options about what could be done to fix the problem." "Dr. Ibrahim is awesome! She made me very comfortable and made the whole process seem like it only took a short time." "Dr. Aiman Shilad is a blessing! I wish that more women's health doctors were as good as him I know that I will be a patient of his for a long time." "To be honest I was kind of afraid but Dr. Siddiqi was calm, understanding and very professional with how everything was explained." "Excellent doctors. Very knowledgable and takes time to understand the patients goals, short term and long term." "The doctors are conscious, caring, and treat you like a human being instead of a number. I would highly recommend!" Dr. Mahmood and his staff have been wonderful, kind, caring, etc. to me. I met with him in 2012 and highly recommend him. I have 100% confidence in him. Dr. Ibrahim is extremely knowledgeable in her field and helps one understand the options available for pain relief. One Oak Medical Group is committed to providing you with the very best patient care and education regarding your condition. We are an Out-of-Network provider and the majority of services provided at One Oak Medical Group are covered by insurances. We pride ourselves on having top rates physicians and support staff. Our skilled team of medical personnel will gladly work with your insurance carrier on your behalf to obtain authorization for procedures and process claims. We will help to determine your coverage and navigate your benefits.